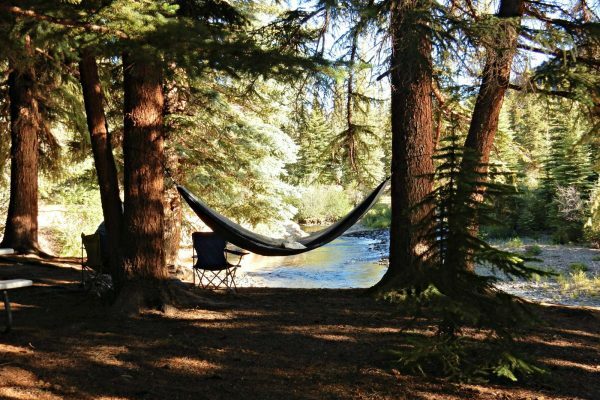 The Colorado camping season might appear to be winding down but it never really comes to a complete standstill. Many campgrounds stay busy all 12 months of the year. Quite a few close in October, and some close their RV sites early but keep their lodges and cabins open later. This post is focusing on those that close in September to alert you that you can still squeeze in another camping trip if you hurry! 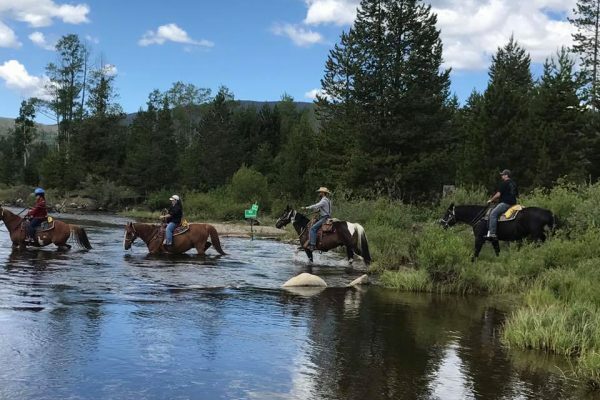 Since the actual closing date varies at each campground (and is usually dictated by the weather forecast), please contact each campground to find out about the expected closing date (as well as availability and pricing). Each campground page has a tab that lets you easily connect to the campground’s office. Aside from listing them and linking you to many more details for each campground, we’ll post a picture of each at the bottom of this post. 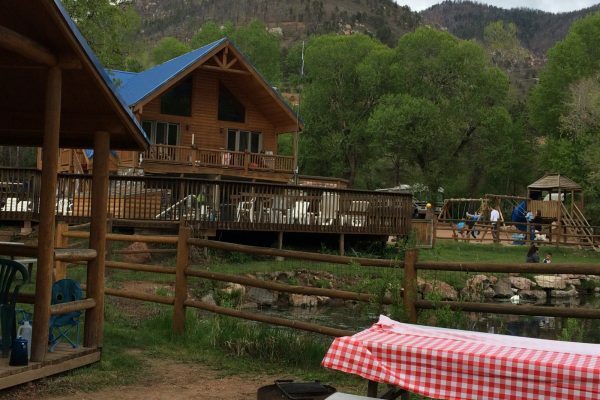 Bellvue’s CanyonSide Campground is located in the Cache la Poudre River Canyon, west of Fort Collins. Cascade’s Lone Duck Campground has been making happy campers for over 50 years! 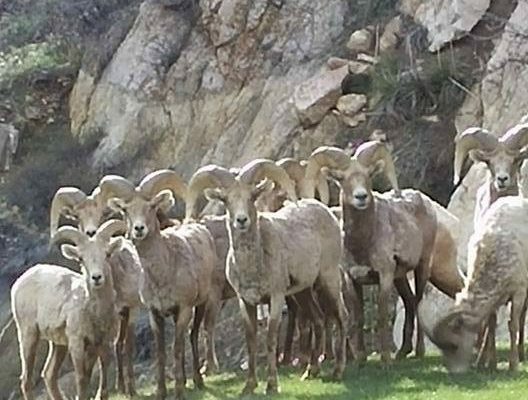 They’re located between Colorado Springs and Woodland Park. 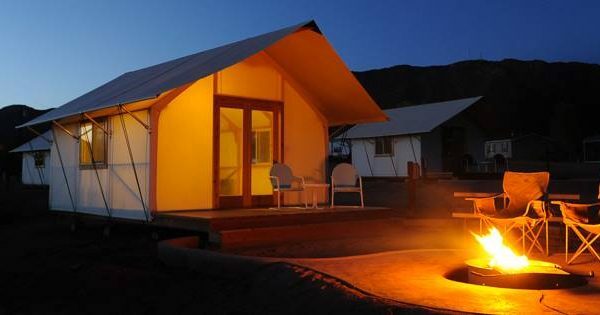 Canon City’s Royal Gorge Cabins will continue to have rentals all year, but some of their camping sites close in September. 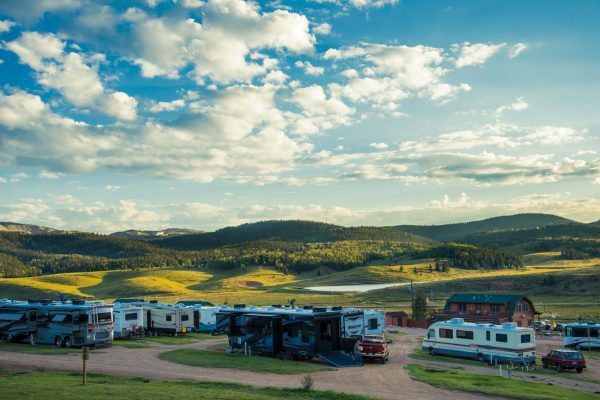 Cripple Creek has the claim to the highest KOA in the world, and that’s why Cripple Creek KOA closes in September. Those high elevations are gorgeous but they limit camping! Estes Park’s Jellystone Park of Estes is also at a high elevation. Their 9,000′ shuts them down in September. 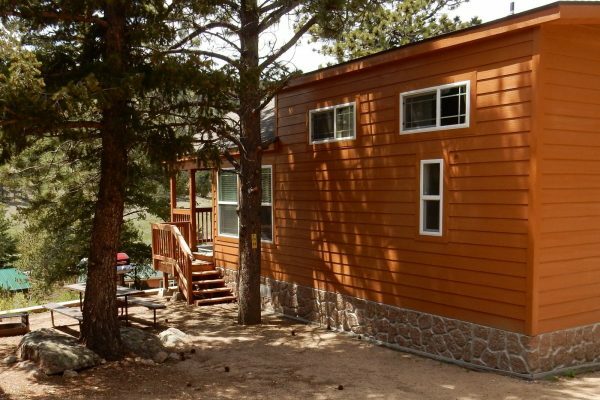 Grand Lake’s Winding River Resort has the gorgeous Rocky Mountain National Park for its backyard. 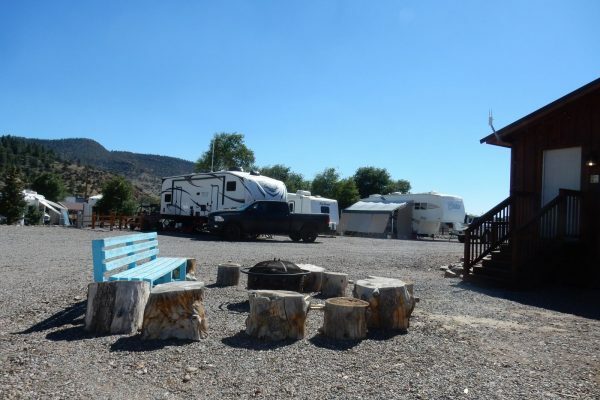 Lake City’s Highlander RV Campground caters to adventurists until the last minute, but that still puts them in as September closures. 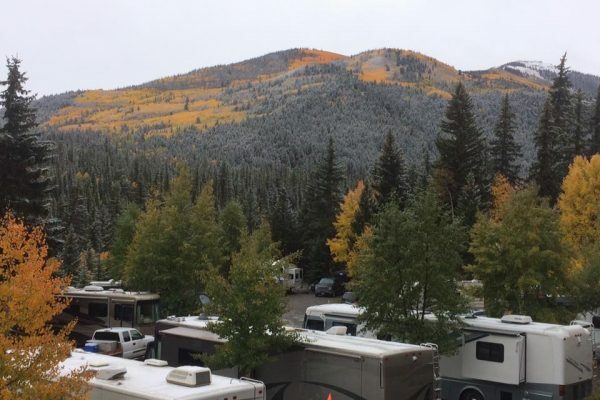 South Fork’s Aspen Ridge RV Park has a large contingency of RVers who head south for the winter, so the park closes in September. Ute Bluff Lodge typically winterizes their RV sites later in September, although their cabins and lodges remain open all year. Since the camping season never ceases in Colorado, we made it easier for you to located facilities that are open during your planned trip. 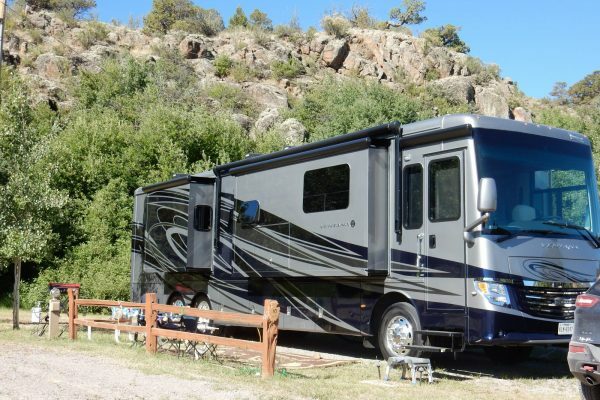 Go to our Find A Campground page and choose the month that you’ll be traveling, if not also furthering your limitations by whether you want an RV site, a tent camping site, or a rental cabin or glamping unit. Here’s a tidbit to tuck up your sleeve. Since you might find yourself going through propane a bit faster than in the summer, you can also use our Find A Campground page to show you the ones that can refill your LP tank while you’re traveling. There’s another cluster of campgrounds that close on October 1 or within the first week of October, so don’t dally! If you look at our printed Camp Colorado Guide (shown here as a PDF), you’ll notice that the larger grid has a column that shows the season of each campground. Since actual dates often depend on the weather, this is merely a guideline, but it’s a very solid guideline.